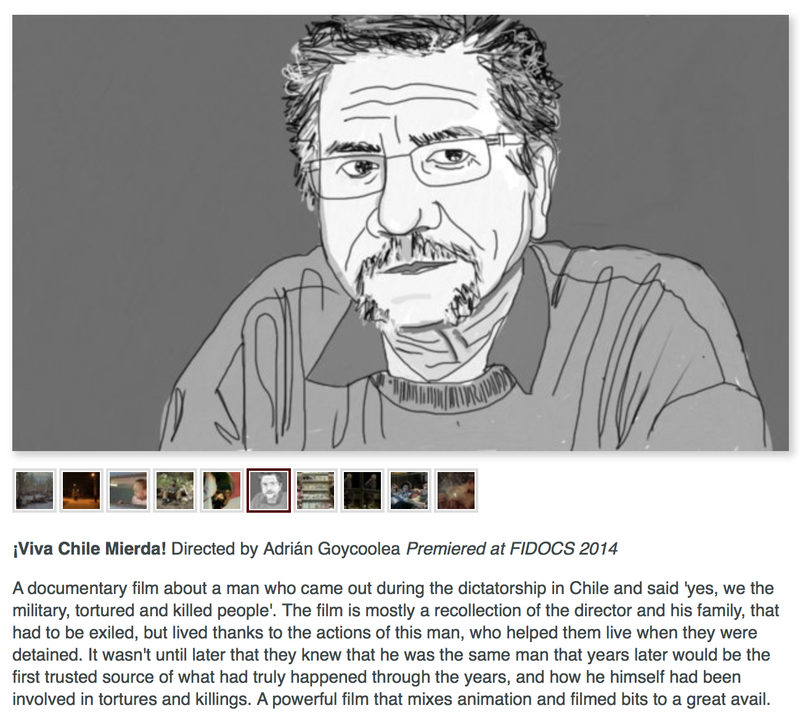 Viva Chile Mierda chosen as one of the 10 best Chilean films of 2014 by Twitch Film! – ¡VIVA CHILE MIERDA! Posted in Featured, News, Publicity and tagged as Allende, Arts, Augusto Pinochet, Chile, derechos humanos, dictatorship, documentary, exile, featured, film, historia, History, independent cinema, Latin America, Left-wing politics, memoria, Movies, Pinochet, politica, politics, Salvador Allende, South America, tortura, torture, trauma.